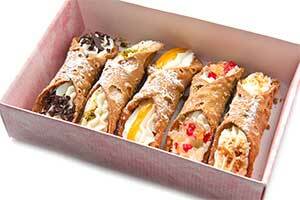 I love Cannoli – the Sicilian pastry stuffed with rich, creamy filling. But as much as I love the taste, with each decadent bite I can almost feel the calories migrating to the parts of my body where I don’t want them to stay. So, since I have to behave like a grown-up, I try to keep my Cannoli consumption to a respectable limit. One day I spied some fresh cannoli going into the display case in the bakery while I was grocery shopping. I did a quick mental check of my recent cannoli consumption and decided I’d waited long enough so I broke down and bought some. All afternoon I anticipated the first delicious bite I would have for dessert that night. Finally, after finishing dinner the time had finally come. I served the cannoli to my family and took that long anticipated bite – and grimaced in horror. They had gone sour. Foolishly, I thought I had kept them cool enough as I made extra stops on my way home from the grocery store, but apparently I didn’t. They had gone bad on the drive home. Taking a bite of a sour cannoli isn’t a fun thing to do, but at least you can grab some mouthwash afterwards to get rid of the taste. Unpleasant surprises in business can have much more lingering effects. 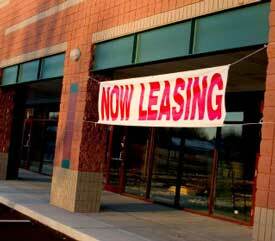 Surprises in your commercial lease spring to mind. When you open a brick and mortar business the location has the potential to make or break you. After all, you’re not going to do much business if nobody can get to your storefront. But finding the location is only the first step. Once you’ve found it, you need to make sure your lease gives you what you’re expecting. 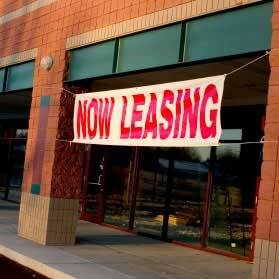 Negotiating a commercial lease is a lot more complicated than leasing an apartment. There are a lot more hoops you need to jump through before you can open your doors, and a lot of pitfalls to avoid when signing your lease agreement. Ideally, you’re going to be in that location for a long time so you don’t want to feel like you’re biting into a sour cannoli every time you have to deal with your landlord. To that end, I’ve developed a flowchart to guide you through the steps you should follow when locating and leasing your commercial space. People who have used it and followed the process have told me they saved $1000s because it showed them things the landlords and brokers don’t tell you. This chart is only $8 by itself or free to members of StartUpGreaterGood.com. After you’ve successfully negotiated your lease go treat yourself to a cannoli. Just be sure to either eat it at the bakery or get it to your fridge right away.